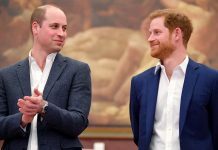 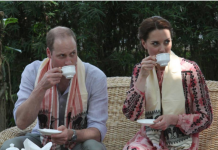 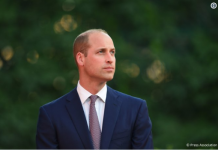 On Monday, Kensington Palace released an image of Prince William arriving in Israel for the second part of his five-day tour of the Middle East, and the snap has revealed what really goes on behind the scenes of a royal visit. 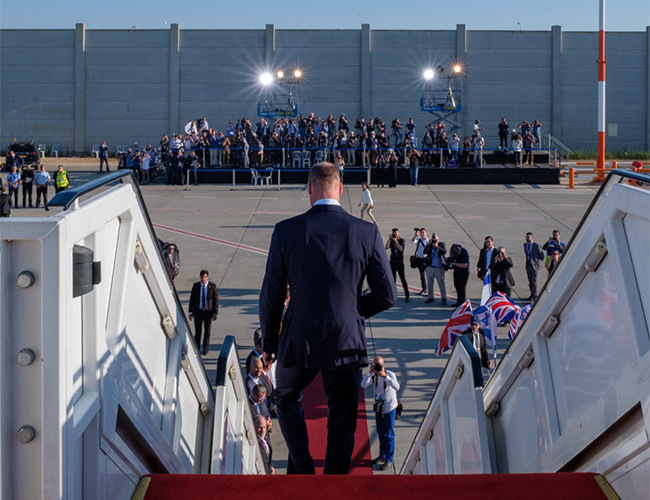 Taken from behind the Duke of Cambridge, the picture shows what a typical arrival looks like from the perspective of the royal – and it does seem like quite daunting! 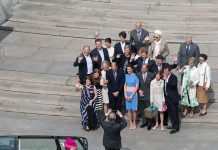 The snap revealed a group of photographers grouped at the back of the shot snapping the future King’s arrival, who are incidentally stood in front of blinding floodlights to light the photos of William’s arrival.